Wild Boar Wood is one of The Secret Campsites, a collection of Real Camping and Wild Glamping sites focused on nature, peace and space. The site offers unique, off-grid "wild glamping" in fully-equipped, pre-erected bell tents. Campers can expect all the benefits of wild, woodland camping with open fires, birdsong, butterflies and den building but enjoy the comfort of a bell tent at the end of the day (if you prefer to pitch your own tent please look at our Beech Estate Woodland Campsite or The Secret Campsite Lewes). The site's nine bell tents are set within a five-acre bluebell wood in the heart of Sussex and part of the High Weald, a designated Area of Outstanding Natural Beauty. 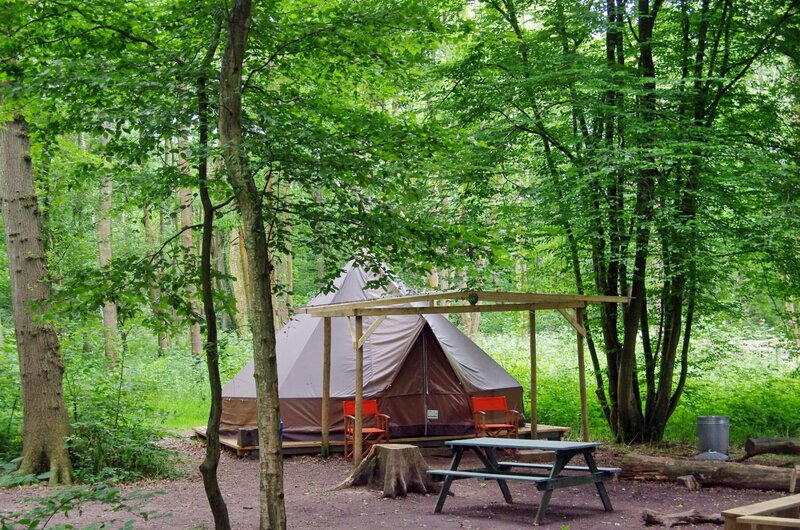 Tents are set in among the trees giving solitude and privacy from the outside world although its location in West Sussex, near Haywards Heath and the Ashdown Forest, means it is within easy reach of London and Brighton. 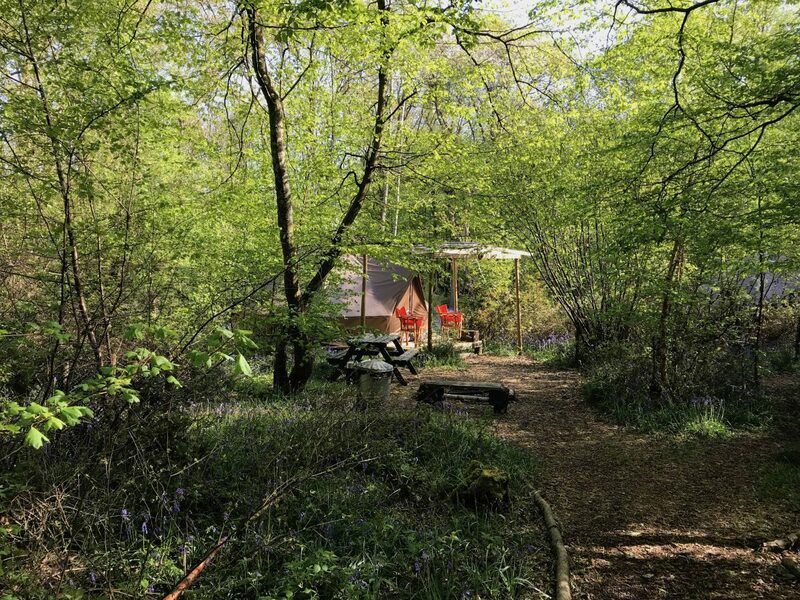 Wild Boar Wood Campsite offers an opportunity to camp side by side with nature, whilst enjoying the comfort of our tents, with beds, cooking equipment, open fire bbq grill and a firewood allocation. The two ‘faraway’ tents offer a more secluded option, tucked away from the main campsite, for couples and families wanting their own space. We have a permanent warden onsite to assist our campers at all times. The campsite is ideal for families and groups, to reconnect and renew friendships, or chat with fellow campers around the campfire. Full campsite bookings are also available for that special celebration. Wild Boar Wood and its surrounding 40-acre field teems with wildlife; birds, butterflies, deer, rabbit, hedgehogs and foxes make their homes in the field, hedgerows and woodland. Close by the woodland campsite, the River Ouse meanders through the countryside, offering delightful and scenic walks along its banks to the welcoming local pubs.